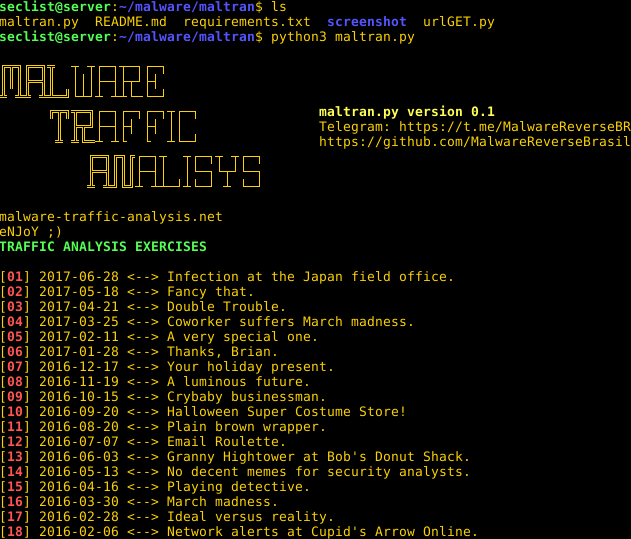 Browse: Home / maltran – a malware traffic analysis tools. 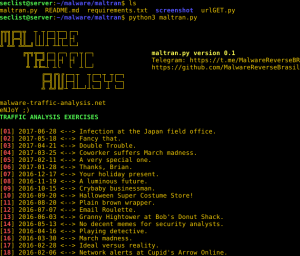 maltran is tool was developed with the purpose of furthering and organizing access to Malware-Traffic-Analysis (http://malware-traffic-analysis.net/) exercises. Maltran makes it easy to list and download exercises in a simple and organized way. ← pcileech – Direct Memory Access (DMA) Attack Software.